Bishop John Doaninoel SM visits Villa Maria, Hunters Hill, Sydney, after his consecration as auxiliary bishop of Rabaul, PNG. 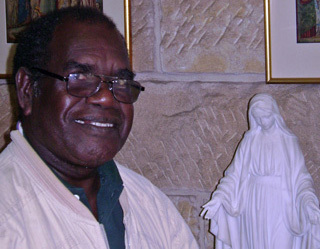 Bougainvillean-born Bishop John was previously regional superior of Marists in Bougainville after a period as rector of the Marist seminary, Bomana, Port Moresby. In Maesot, Thailand, four young Karens graduate with a Diploma of Theology from Australian Catholic University. 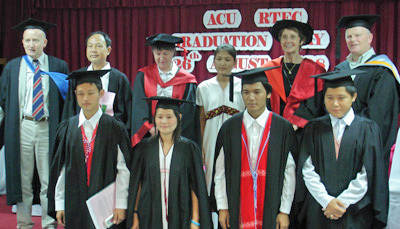 Their program of online studies with ACU was initiated by the Marist Mission Centre in 2001 and reflects a Marist commitment to the formation of young people, in this case Karen refugees along the Thai-Burma border.